The Los Osos/Baywood Park Chamber of Commerce and the Citizen of the Year Committee are now accepting nominations for the 2018 Citizen of the Year. This person does not have to be a member of the Chamber of Commerce. Please help us recognize a deserving citizen who gives their time and talent for the benefit of our community by nominating them for Citizen of the Year. If you have nominated someone in the past – you may re-submit an application – each year many are nominated, but only one person is chosen annually. Citizen of the Year should be a person who gives outstanding service and dedication to the community and one who is involved in more than one community effort such as business, service organization, church, schools, environment, charities, government or politics. 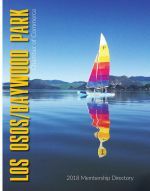 They must live, work, or own a business in Los Osos/Baywood Park. The COTY committee will review all nominations. This committee is comprised of past Los Osos/Baywood Park Citizens of the Year. Deadline for nominations is December 3, 2018. Winner will be presented at the Annual Los Osos/Baywood Park Chamber of Commerce Community Awards Dinner & Installation. The winner will also be recognized in the official Citizen of the Year press release and ride in the 2019 Christmas Parade. Please fill out why your nominee should be considered.